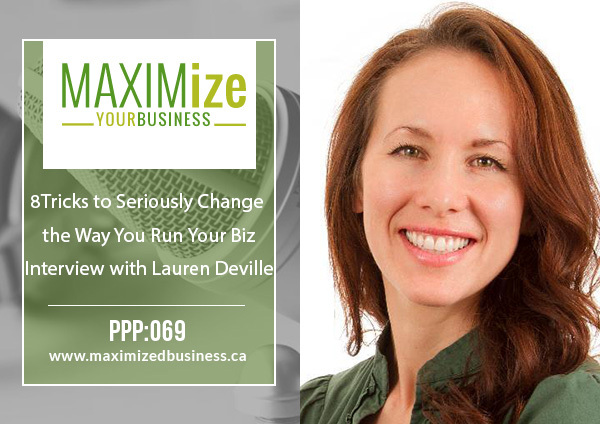 Today we’re talking to Lauren Devill. The cool thing about today’s interview is we’re not focusing on one particular topic, instead, it’s basically a complete checklist of all of the amazing things that you can start to do to promote yourself, your business, and to get things jumpin’ and bumpin’. If you are listening to this around the time it’s being posted, the beginning of November, which for my Canadian listeners especially, this is the key time to be letting your patients know that they have 2 months to use up their benefits. I actually have one person, which I mention in the interview, who has promoted on Facebook, using Facebook ads, promoting that this is her client’s last chance to book now, and she’s already had a massive onslaught of bookings in her calendar. I can also tell you that my calendar is totally exploding right now too. So get those emails out, let people know, and what I like to do around this time are a series of countdowns: an 8-week, a 6-week, and a 4-week, and then that last month it’s a weekly reminder to tell my patients to come in. We want to make sure Q4 finishes with a bang! The Maximize Your Clinic Course is going to be opening for enrollment. We have massive promos and discounts going on right now. This will be the last time that we open enrollment for 2018! How has your brother, who has had no medical experience, had such a big influence on you? What have you learned about writing articles that result in getting people into your office? Describe how you’ve committed to writing articles for so many years? Can you talk a bit about creating consistent content on social media? Do you have certain strategies for blog posts? What is it that you find about podcasting that has positively supported your business? How Lauren niched herself within the naturopath space. What Lauren did to become the #1 naturopath in Tuscon, Arizona. Why she feels that blocking her schedule has increased success in her business. How she became an author and what that process was like for her. What Lauren suggests for someone who is just starting to create content.